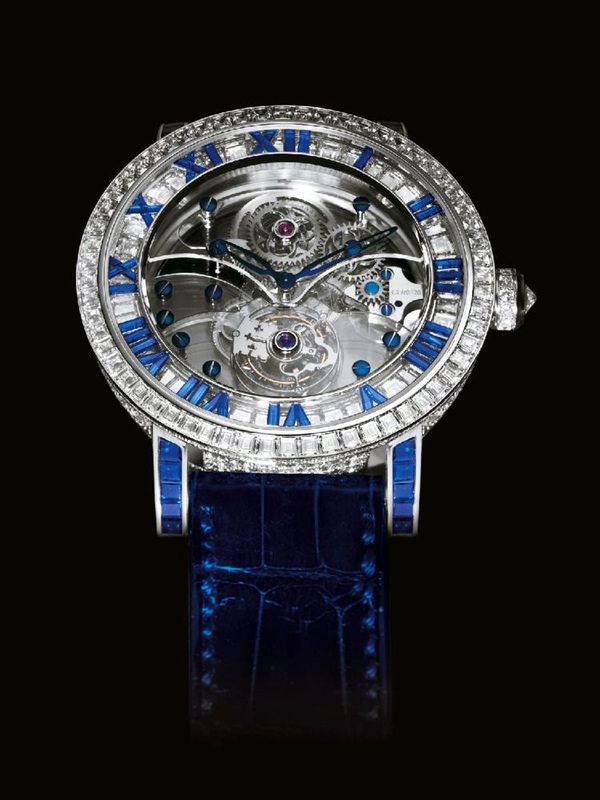 The name itself suggests that it is a rare and highly expensive timepiece. Introduced in 2007, CORUM Classical Billionaire Tourbillon is a stunning horology masterpiece that sizzles in an intense radiance created by a spectacular array of diamonds and sapphires, offering a transparent revelation of the most beautiful complication of all time. It all begins with a genuine feat of technical refinement. The master-watchmakers of CORUM interpret the tourbillon, the crowning glory of horological mechanisms, with fascinating delicacy and creativity. This brilliant complication, which makes light of the disturbing effects of gravity, is revealed through a pristine and magnificently sparkling universe. The aesthetic beauty of the transparent sapphire crystal bridges and plates is magnified by the fineness of the sapphire. The movement is mounted on joints to enhance its shock-absorbing capacity and appears to be floating in mid-air. Each meticulously cut component guides us to the heart of this ingeniously suspended entity, as if in a game of ethereal moving parts. Like a celestial body illuminating time, the Classical Billionaire Tourbillon shines in radiant splendour, brilliantly expressing the wealth of dexterity and creativity patiently cultivated by CORUM. 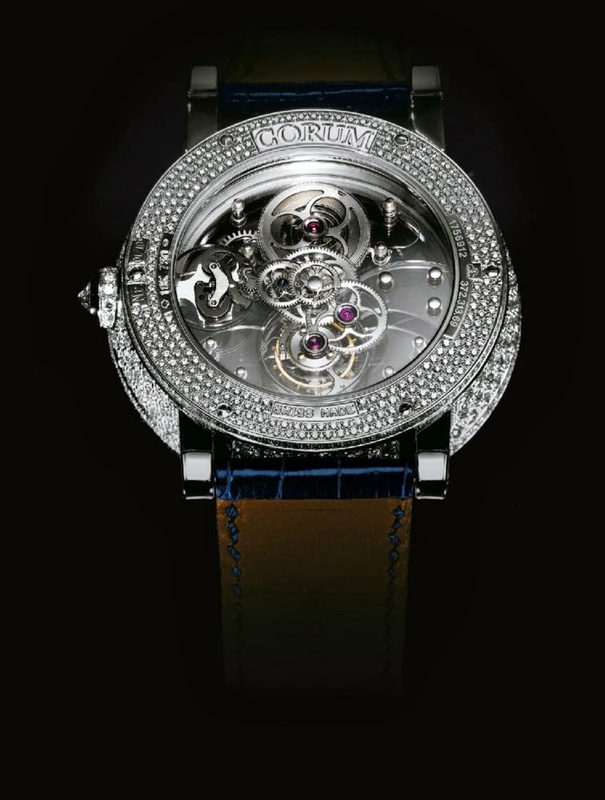 Eight hundred and fifty diamonds entirely cover the case, lugs, inter-horn space and crown, while the bezel is lit up by 44 baguette-cut sapphires. The visible gem-setting on the Roman numerals further exalts the magic of the passing hours and minutes. To further increase the effect of depth, the movement, caseband and ring are arranged on three levels. Studded with blue or black gemstones, this refined watchmaking gem was made in a full-set (59 carats) version featuring a diamond-pavé bracelet, or teamed with a matching crocodile leather strap. Each of the four variations was issued in a limited edition of just 10 watches.